If you want the best deals and lowest monthly rates on a gorgeous, high-powered Maserati vehicle, Auto Leasing NJ is the place to go! There’s nobody in the state of New Jersey who can offer the kind of Maserati leasing deals that Auto Leasing NJ can! 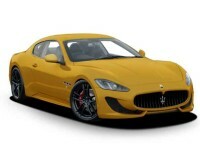 We’re transforming the auto leasing industry with our fully-online leasing system, and use the overhead savings that arise from said system to provide you with rock-bottom monthly rates, the most accommodating financing terms, and the widest selection of any Maserati leasing agent in the entire state! Whether you’re looking for a Maserati Coupe, a Spyder Convertible, a Ghibli Sedan, a Levante SUV, or any other recent-model Maserati vehicle, Auto Leasing NJ has the car for you at lower rates than anybody else! We offer the absolute best in selection and price to be found anywhere in New Jersey, and nobody can beat our super-convenient online Maserati car leasing! Don’t settle for second-best in the car leasing business — get started on a Maserati auto lease today at our application page, or call 609-830-0066 to inquire about anything you might want to know about Auto Leasing NJ! If you compare Auto Leasing NJ’s Maserati lease rates with those of other Maserati leasing agents’, you’ll notice that our monthly rates are much, much lower than the competition’s. Why is it that we can do this? For several reasons — first of all, we don’t bother with a car lot or a physical leasing fleet, which reduces our overhead costs dramatically. This means that the money we don’t spend on these things can be reflected in our leasing rates! And lest you think that this would cut into our selection of vehicles, we avoid this pitfall with our huge roster of affiliated Maserati (and other) dealerships! These car dealers allow us to offer their stock of Maserati vehicles for lease, meaning that Auto Lease NJ’s selection is a chimera of a vast number of dealerships! So while it might seem that either price or selection would be a trade-off, Auto Leasing NJ’s transcendent business model allows us to optimize both! And our Maserati lease selection includes every recent and popular vehicle, like the GranSport Convertible, the Quattroporte Sedan, and the GranTurismo Coupe! These reasons are why there’s simply no better place from which to lease a gorgeous new Maserati! Check out Auto Leasing NJ’s Maserati inventory or call 609-830-0066 to ask about the Maserati automobile that you most want to lease! Phone us today! 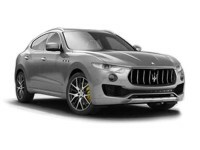 Auto Leasing NJ not only has the lowest prices and widest selection of and Maserati leasing agency, we also offer the most convenient way to lease a Maserati automobile! 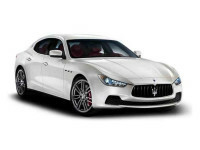 Whatever Maserati you’re looking to lease — such as the GranSport Coupe or the GranTurismo Convertible — Auto Leasing NJ makes it amazingly easy to secure your Maserati auto lease! Just look at our Maserati inventory page to find the car that you want to lease, get a price quote, fill out the online application form, and once financing has been arranged, complete the paperwork and accept the leasing terms, and we’ll have your new Maserati delivered right to your door for absolutely no charge! It’s all doable online, so don’t hesitate to start the process of getting your new Maserati car lease! 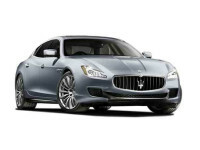 Check our Maserati page or call 609-830-0066 to begin your new Maserati lease today!